For a while now, we’ve been able to go to the Google Maps app and see how much it would cost to get an Uber to our destination. We could then tap a button to open the Uber app and order the car. Google expanded the feature to ride-hailing apps such as 99Taxis in Brazil and Ola Cabs in India. Now, the feature is coming to several countries Southeast Asia. People in three cities in Indonesia will now see an option to grab an Uber or a ride from Go-Jek, a local motorbike transportation service. Ten more cities are coming soon, but the feature is available on Android now, and is rolling out on iOS. 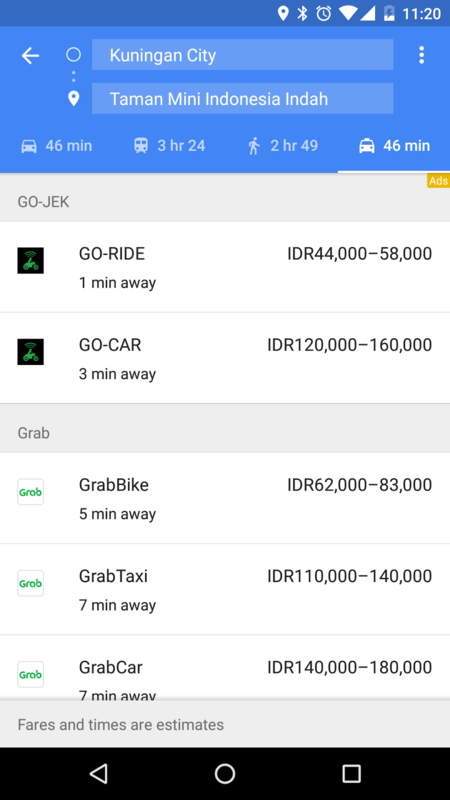 Google is also adding the option to choose rides from Grab in 24 cities throughout Indonesia, Malaysia, Philippines, Singapore, and Thailand. This feature is available on Android now, but is also rolling out on iOS. Recently, Google brought the option to pick Ola Cabs in India, Mytaxi in Germany and Spain, Gett in the U.K., as well as Hailo in the U.K. and Spain. 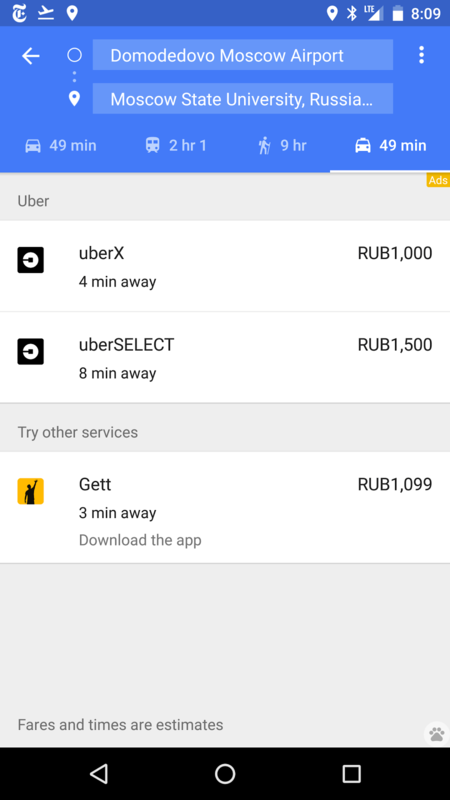 Now you’ll also be able to choose from Gett, Hailo, and MyTaxi in select cities in Ireland, Poland, Italy, Austria, Russia, and Israel on Android and iOS. Since there’s a lot of options rolling out in the ridesharing category, the Maps team added a tab dedicated to ride-hailing services next to the existing car, walking, and public transportation tabs. If you have one or more of the supported apps installed, simply tap on the service for which you want to see an estimated fare. You’ll then be able to tap a button to open up the app and hail a ride. Uber is still the first option you’ll see — likely because Google has invested $258 million in the popular ridesharing service. There is still no support for Lyft in Google Maps here in the U.S.